The 3rd of May is world press freedom day- an important day to reflect. At the European Press Prize we are very proud of the brave and great journalists who share their stories, opinions and investigations with us. Especially since press freedom is decreasing in Europe. We hope to celebrate and support many more great journalists in the future. In the spirit of reflection, we have asked laureate Szabolcs Panyi to share his thoughts on the current situation in his homecountry Hungary – the country where we held our 2018 award ceremony. He used 10 numbers to explain the struggle for press freedom. In 2015, Hungary’s state-owned export-import bank (Exim) loaned 21 million euros to Magyar Broadcasting Co., a company owned by former Hollywood producer and current government proxy Andrew G. Vajna. The US-Hungarian dual citizen used this cheap loan to purchase TV2, Hungary’s second largest privately owned TV channel. In the spirit of Fox News, Vajna soon turned the channel into a viciously pro-government propaganda outlet. Since then it has become a trademark scheme of the Orbán government to give public money, either through public contracts or through cheap loans of state-owned banks, to government-aligned businessmen. They then buy up the remainder of Hungary’s independent media. 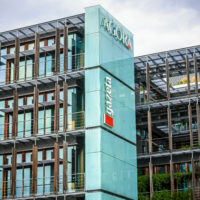 The only two influential mainstream independent outlets still existing, ánd having a wide reach in Hungary, are RTL Klub (TV) and Index.hu (online). Independent media in Hungary – and especially investigative journalists – nowadays partly seek refuge in the non-profit sector, relying on subscriptions and donations in order to avoid ownership and political pressure. Examples are non-profit investigative centre Direkt36, they managed to collect 40,700 euros in their recent fundraising campaign; Atlatszo.hu, another Hungarian non-profit investigative outlet that has more than 3,700 subscribers; the independent news site 444.hu runs innovative campaigns and the financial support from their audience is increasing. In March 2018, Index.hu journalist Gergely Nyilas was convicted for forging public documents and misleading the authorities. He was sentenced to pay the costs of his trial: 13,000 forints (40 euros). Nyilas carried out undercover reporting back in 2015, when, at the peak of the migration crisis, he disguised himself as an asylum seeker from Kyrgyzstan. The case of Nyilas sets a worrying precedent because the court refused to apply an existing Hungarian law. This law grants immunity to journalists who break certain rules while doing investigative reporting that have a genuine public interest. As OSCE representative Harlem Désir pointed out, the Hungarian journalist’s goal was to “inform about the Hungarian authorities’ treatment of asylum seekers” as “the media were banned from accessing refugee centres in the country, and he had no other means of collecting the necessary information”. Government-acquired outlets have become part of a centrally coordinated propaganda machine. Journalists with real experience and knowledge in their profession have either been fired or have quit. Government-aligned Hungarian outlets have started to increasingly copy and implement ‘narratives’ created by the Kremlin which are used in Russian state-controlled media. For example, to support Viktor Orbán’s smear campaign against Hungarian-American investor and philanthropist George Soros. Orbán’s media empire has quoted hacked documents published by ‘DC Leaks’, a Russian military intelligence operation, over a hundred times. The site is now defunct. According to G7 (an independent non-profit Hungarian economic magazine), 62 % of all sold newspapers is published by government-aligned publishing companies. These companies – owned either by right-wing businessmen or straw men fronting for top government politicians – also have a 62 % share in Hungary’s radio market, 32 % TV, and 19 % in online media. The government’s influence, however, is much higher if we only examine those publications and outlets that cover politics. When taking this into account, the G7 study found, government-aligned companies have a 77 % share in print, 62 % in radio, 49 % TV, and 41 % in the online market. By the end of 2017, all independent, local (county) newspapers were eliminated. With recent purchases, 15 out of 19 Hungarian counties now have their daily papers owned by either a company linked to Andrew G. Vajna or to Lőrinc Mészáros, Orbán’s childhood friend – who is accused by opposition parties as simply being a straw man of the prime minister. An Austrian businessman, who has a history of cutting deals with the government, owns the three remaining local dailies. There is one county left with no local daily newspaper at all. The recent Hungarian parliamentary election clearly show that the government’s media operation was pretty successful in articulating their anti-migrant political agenda to rural voters, for which the buy-up of local newspapers was crucial. In Budapest, the government only won 6 seats out of 18. In the countryside, however, Orbán’s party has won 85 out of 88 seats. It has been over 11 years since Viktor Orbán gave his last proper interview to Hungary’s largest independent news site, Index.hu. The prime minister avoids to speak with journalists who ask critical questions. Only loyal journalists are handed the microphone during his press conferences. The only place where critical journalists still have a chance to address him directly is in Brussels, whenever he holds a press conference for international media after the European Council summits. In recent years, 2 out of Hungary’s 4 traditional national daily newspapers have been forced to shut down. In 2016, left-liberal daily Népszabadság was closed. Just a few weeks ago Orbán’s best friend-turned-worst-enemy oligarch Lajos Simicska decided to terminate the circulation of Magyar Nemzet, his conservative and radically anti-government newspaper. Despite all the work done by Hungarian investigative journalists, uncovered wrongdoings rarely have political or legal consequences – it is mostly the journalists and the outlets that get sued. There was only one case when thorough reporting managed to take down a top politician in Hungary, which happened in the early years of the Orbán-era. In 2012, president of the republic Pál Schmitt was forced to resign, after a months-long investigation by hvg.hu showed that the president plagiarized huge parts of his PhD dissertation. Even with all the troubles in Hungary’s media environment, these difficulties are really nothing compared to what the media and journalists in Egypt, Turkey, Russia or other alleged ‘illiberal’ role model countries of Viktor Orbán have gone through. The Hungarian government and its proxies have never crossed the red line of attacking, jailing, or killing journalists. 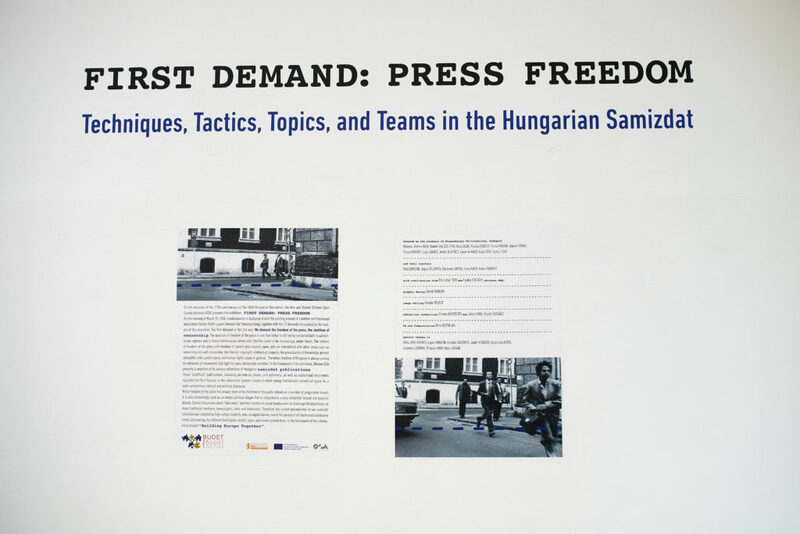 The number of physically threatened journalists is Hungary is still zero. Even something like the murder of Slovak journalist Ján Kuciak is unimaginable in my country, where violence in politics and business has been extremely low since the late ’90s. The Hungarian government, however, has found a more civilised and subtle way of silencing its critics – by threatening and corrupting media owners, and by killing newspapers instead of the journalists. 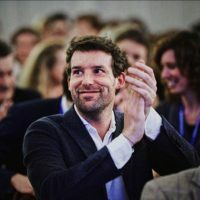 Szabolcs Panyi was nominated for the European Press Prize in 2018, with an investigation about the Russian influence on the refurbishment of Budapest’s old Soviet metro cars. 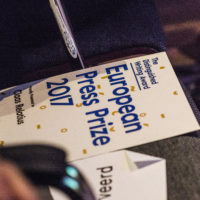 The 2018 European Press Prize award ceremony – held at the Open Society Archives in Budapest, Hungary. Photo made by Daniel Vegel.